Bach: Little Fugue in G Minor – Flute Choir | McGinty Music, LLC. 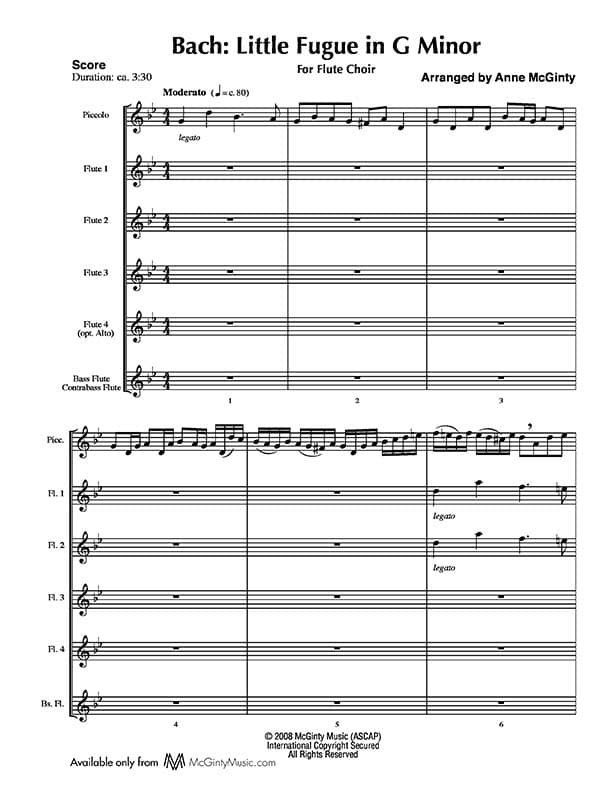 The well known Little Fugue in G Minor is now scored for the full flute orchestra: Piccolo, four C Flutes, Alto Flute in an appropriate range and adding depth to Flute 4, with Bass Flute and Contrabass Flute on the original organ peddle. A welcome addition to the flute choir repertoire!